so how does one move a hot tub? I’d put a “TEENAGERS: DO NOT REMOVE” sign on it. it out of the landfill. was made, and we pressed on. Securing the tub was more daunting than I thought. It took up more of the truck bed than I’d anticipated. figured out the best way to tie the tub down. Here she is doing just that. use a trucker’s hitch because she’s not a Teamster. introduce it at Philmont Ranch next time he’s there. ← Beth’s safe and back home! 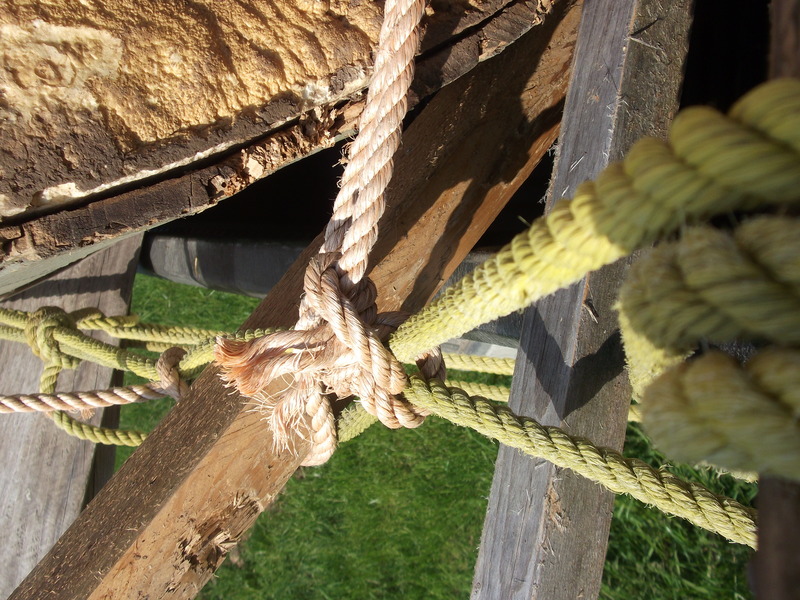 You’re a lucky guy, Allen … all men love a knotty girl. Jude sounds like my kinda girl…. Knows what to do in a pinch!!! I haul a lot of material for people in construction and tie down better than most men I know, but Jude has me BEAT!!! Good Job Jude! Jude is obviously a VERY capable woman – – I salute her! As a single mom, I’ve done LOTS of things I never thought I’d do, and I’m the better woman for it! THIS is why Jude is my friend! Well, this and her cake-baking skills. And her making-me-play-tennis skills. And her disco dancing skills! God, did you luck out with this wife of yours! 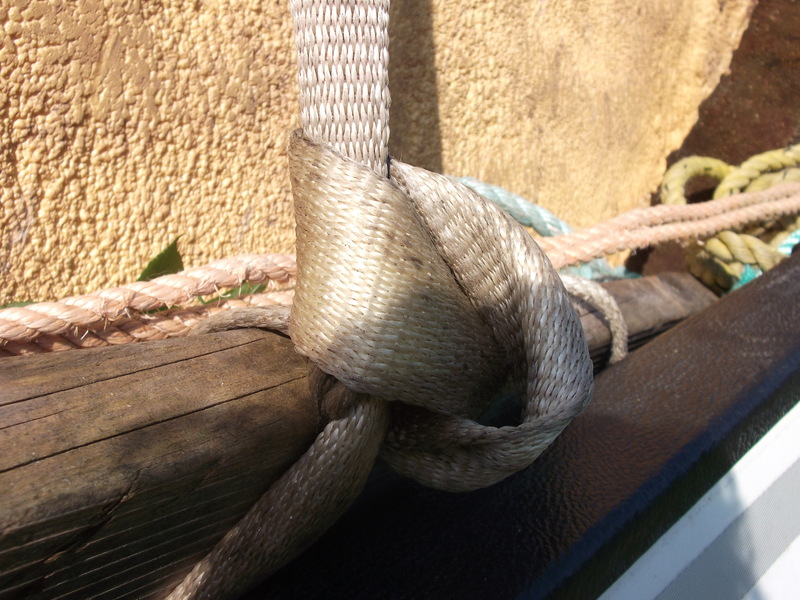 I would love to learn how to tie knots like that!! 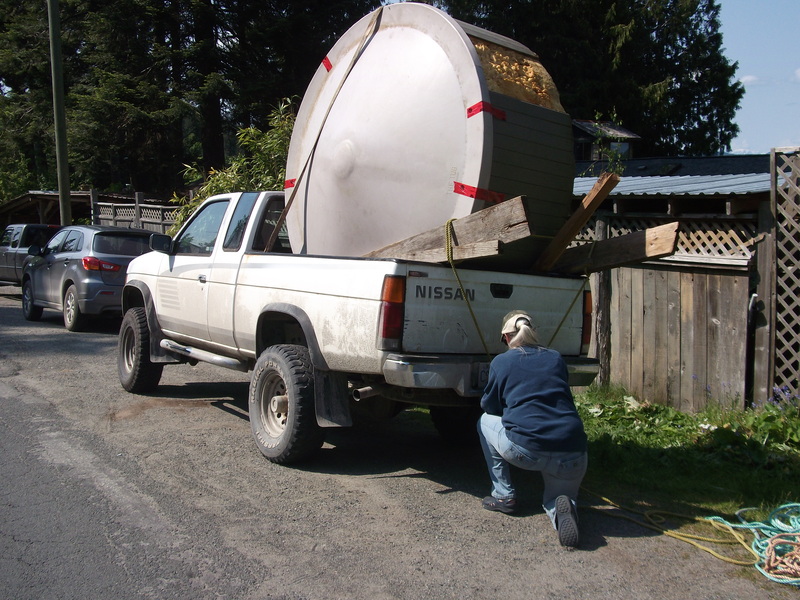 Speaking of moving hot tubs, my husband and I did just that once. 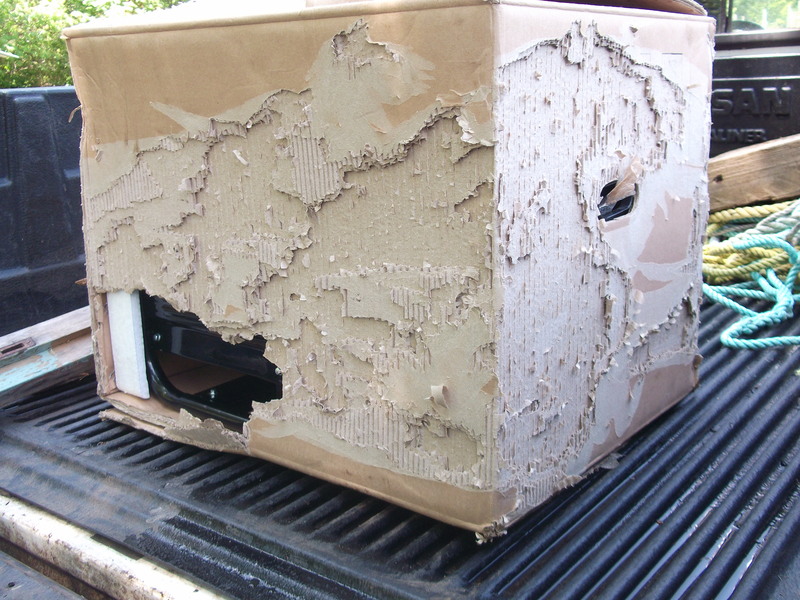 When we lived in Washington state, my neighbor across the street was getting rid of hers. Problem is, the frame was rotting. This we didn’t know before we started moving it. But somehow, and to this day I’m not quite sure how we managed, we got the hot tub onto a few flat dollies, and with the help of several male neighbors, the hot tub made it almost in one piece across the street and into our backyard. My husband had to rebuild the frame, and once we got it all hooked up and the house wired for the breaker, he added chemicals to the water — but a bit too much. The one time we sat in our “free” hot tub, I stank of chlorine for days afterward. It may have raised the resale value of our house, however. I’ve heard similar stories. Several folks have told me a hot tub is not worth the time and cost, especially with energy costs going nowhere but up.